RUACH is the Hebrew word for spirit, and it is exactly that quality which the songs of the Ruach series possess. 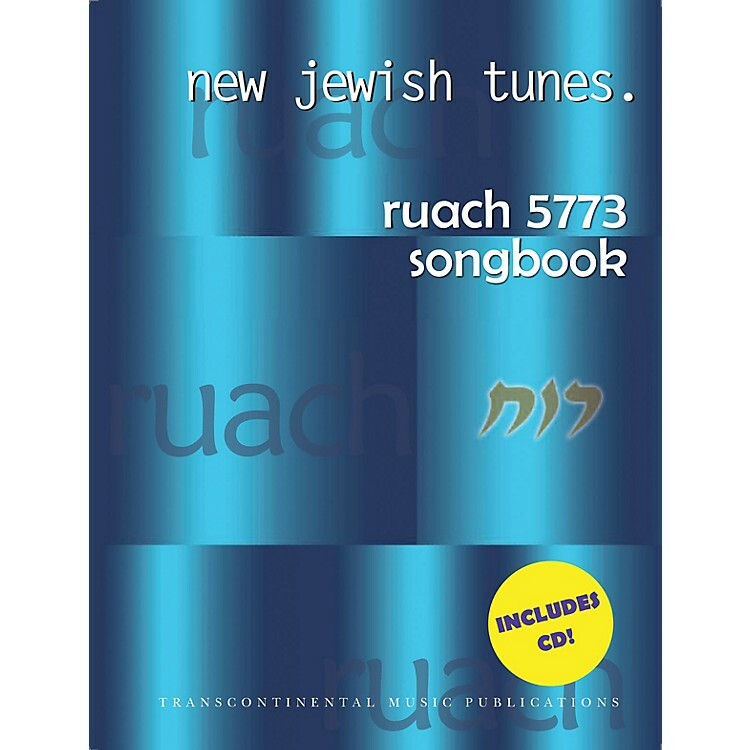 Ruach 5773, the seventh edition in the set, features established artists like Noam Katz, Eric Komar, Dan Nichols & Eighteen, Josh Nelson, Mikey Pauker, Rick Recht, Chana Rothman, Sababa, and SoulAviv have contributed to this compilation, along with exciting new voices on the Jewish music scene such as Noah Aronson, Aviva Chernick, Jaffa Road, Naomi Less, Hannah Spiro, and Alison Westermann. This songbook includes 16 songs in lead sheet format (with melody line, guitar chords, lyrics, transliteration, translation and Hebrew text), plus an accompanying CD with all the tunes. Catch up on the best and brightest new contemporary Jewish music - catch the Ruach!